SEO (search engine optimization) plays a huge role in how your e-commerce store appears in search results. Why put effort into it? Because even a little bit of extra WooCommerce SEO strategy can help your store rank higher (hello first page of Google! ), reach more people, and close more sales. In a nutshell, SEO is a combination of techniques that increase the organic visibility of a web page. If you have an online shoe store, when someone searches for “kids sandals,” you want product pages from your WooCommerce store to show up ahead of your competition. The code WooCommerce is built on is already optimized for SEO, so it’s a super solid foundation to start with. Any additional efforts you put into your site’s search optimization will only make it better. And since the results are long-term, you’ll reap the benefits for years to come. Google and other search engines are constantly changing their algorithms to decide which results to show first on the search engine results page (SERP)—that’s what users see after they type their question or keyword query into a search box. Many “so-called” experts will claim to know what factors influence the rankings of search engines, but the truth is that it’s always changing and nobody outside of the search engine companies themselves really knows. Instead of wagering guesses, we’re going to focus on proven best practices for WooCommerce store optimization. Search engines crawl product descriptions just like they crawl other content on your site, so it’s important to fill in this information for every product in your WooCommerce inventory. While you can use manufacturer product descriptions, they won’t help your search ranking as much as writing your own. Custom descriptions help you put your customer’s needs first—when you write as though you’re talking directly to your customers, it’s easy to naturally work in keywords while describing product details and value. By nailing your product descriptions, you’ll attract more traffic and improve your conversion rate. For most e-commerce sites, you’ll have category pages and product pages. It’s important to understand the difference from an SEO perspective. If you’re not using pretty permalinks, URLs for WooCommerce products will default to using the Product ID, such as example.com/?product=001. A URL that only contains the product ID isn’t very descriptive for users or search engines. Any option other than plain is considered a pretty permalink. If you are using pretty permalinks, the default will use the Product Name, such as example.com/product/product-name. To set pretty permalinks, navigate to Settings > Permalinks from your WordPress admin and choose a structure that allows you to use product names and/or product categories in your URLs. Meta descriptions display under the URL on the search engine results page. By default, meta descriptions are dynamically generated by search engines (usually displaying the first sentence or two from the top of the page), which is often less than ideal when it comes to enticing people to choose your site over others on the search engine results page. Lots of keywords here, but not very human-friendly. An optimized site has a custom meta description for each page. Zappos does a wonderful job infusing their company personality into their meta descriptions while also enticing customers to click through to their site for more information. Custom meta descriptions help your product stand out from the crowd. To manually override the default, you can use free WordPress SEO plugins like Yoast or All in One SEO Pack to set custom meta title and meta descriptions for your product pages. Bonus tip: If you’re using Event Tickets Plus to sell tickets with WooCommerce, don’t forget to include ticket information in your custom meta description! High-quality product images are a staple of any e-commerce store, but did you know that the size of your media files affects page load time, which can dramatically impact your website’s search performance? Reduce the size of image files without compromising quality. reSmush.it and EWWW Image Optimizer are two popular WordPress image optimization plugins that are easy to use and have great reviews. Fill in those image fields! The file name, title, and alt description for each image can (and should be) optimized for your target keywords. Just make sure you don’t go overboard and they’re still people-friendly, too. The image fields are displayed when you upload new media to your WordPress site. Filling in image title and alt text fields is essential. Bonus: If you’re looking for other ways to make your site load faster, check out our article on improving page speed. Rich snippets are a form of structured data which help website owners add extra details about their website and its content so that search engines can better understand, interpret, and display relevant data. In simplified terms, a (basic) snippet is what users see in their Google search results—the page title, URL, and meta description. A rich snippet is essentially the same thing, plus extra bonus information between the URL and the description. The Zappo’s screenshot above is a rich snippet—below the title, it includes the product rating, as well as the number of reviews of the product on their site. Rich snippets display additional information such as product ratings. There are many types of rich snippets you can add to your site. Instead of tackling all of them, we recommend starting with the top 5 e-commerce rich snippets. These are the ones that will really move the needle optimizing your WooCommerce SEO. To implement rich snippets for your product pages, you can use the product properties provided by Schema.org to add extra attributes to your HTML tags. This typically requires the help of a developer to ensure it’s implemented correctly. 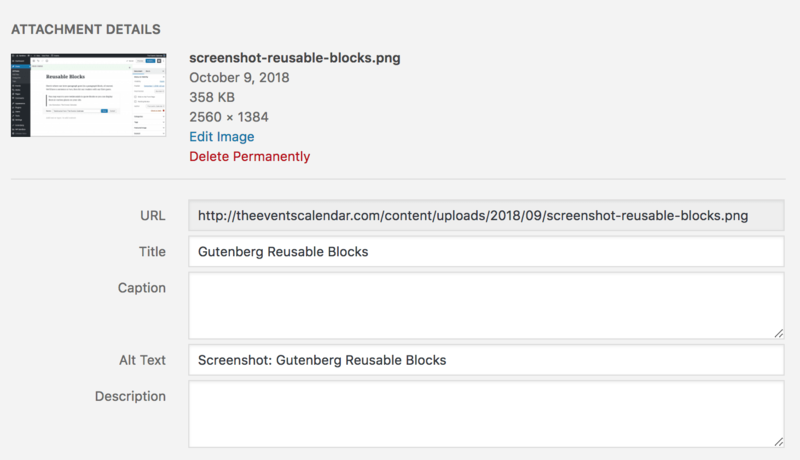 There are also many free schema plugins available in the WordPress.org repository, or you can try the Google Structured Data Markup Helper, which is designed for those with less technical expertise. It’s worth noting that tickets created with Event Tickets Plus are excluded from the WooCommerce storefront, even though they are technically WooCommerce products. But, never fear, because your SEO juice is still ready to be slurped by search engines, thanks to The Events Calendar providing well-formatted rich snippets on events. That means search engines will recognize an event post on the calendar post as an event and display it in a unique way that makes it more prominent in search results. 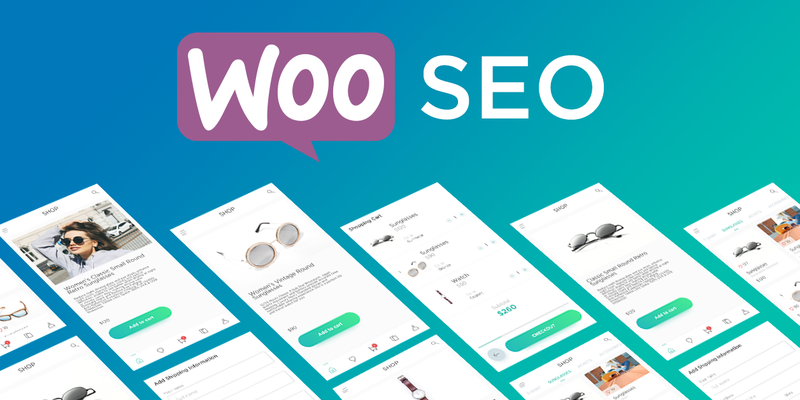 While there are loads and loads of WooCommerce SEO tweaks you can make to your e-commerce site, these tips are great first steps to optimize your site. Remember, search optimization is a marathon, not a sprint, so you don’t have to implement them all at once. Even if you start small, you’ll still be well on your way to generating more traffic, improving click-through rates, and increasing sales conversions.